The 20 year old South Korean was so out of form following back surgery in May 2013 that he had has his scholarship cut at San Diego State earlier in the year and had fallen to No. 776 in the WAGRs. From 6,803 entrants he got into the field of 312 and qualified for the Top 64 match play stage. He then knocked out favourite after favourite before defeating Canada’s Cory Connors 2&1 in the final. A fabulous win, helped by a superb short game, for Scotland’s 18 year old protege as he defeated South Africa’s Zander Lombard 2&1 in the final. Ranked 38th in the WAGR at the start of play Neil moved up into the Top 10 and will now be looking forward to the spoils of victory in 2015. Australia’s Oliver Goss, runner up in the 2013 US Amateur to Matt Fitzpatrick, finished 49th in the US Masters. 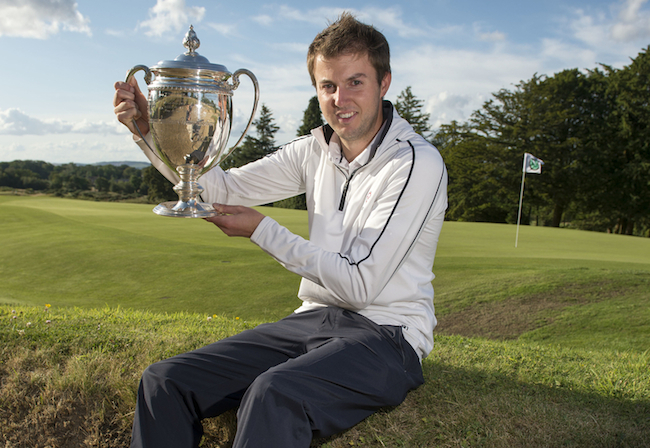 The only amateur to make the cut, rounds of 76, 71, 76 and 75 helped to secure him the Amateur Sterling Silver Cup. Fitzpatrick playing in his last amateur event at the US Open did equally as well. In securing the low amateur medal at Pinehurst he became the first player to double up at The Open and the US Open since Bobby Jones in 1930. Spain’s Arizona State studying Rahm won the Individual title at the Eisenhower Trophy in Japan with a -23 total score, breaking Jack Nicklaus’ event record that had stood since 1960. Rounds of 70, 64, 62 and 67 in September won praise from around the world of golf. The USA beat Canada by 2-shots to win the Team title with a total of 534 (-38), a full 20 shots better then the previous best set by The Netherlands in 2006. By winning the Portuguese International Amateur and the gold medal at the Youth Olympic Games in China Paratore had secured himself a Top 10 place in the WAGR. But that wasn’t enough for the 17 year old Italian from Rome so he topped off his year by finishing 3rd at the European Tour Final Q-School. It will be interesting to see how he goes on the Tour in 2015. 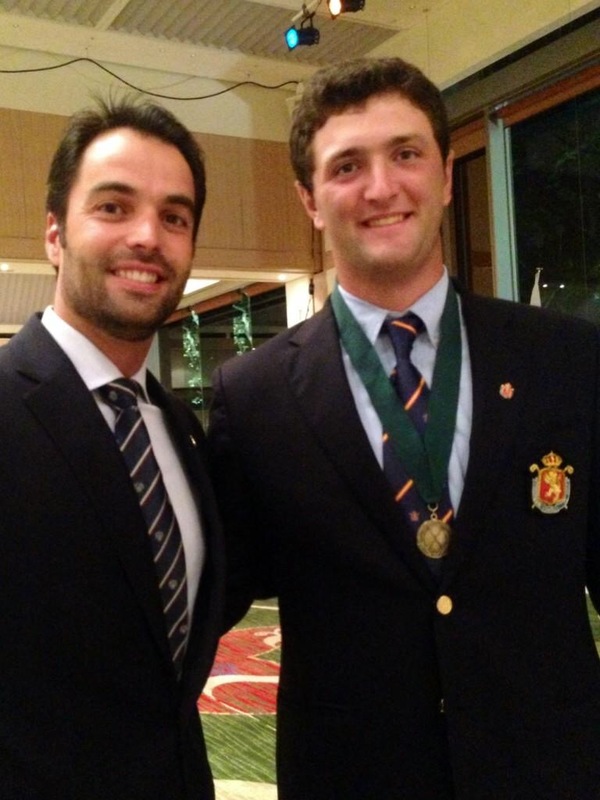 Good news for the Italian Golf Federation so soon after the emergence of Matteo Manassero. 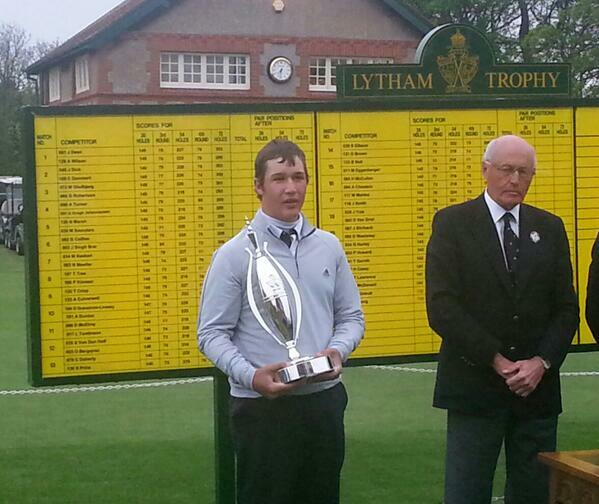 Thriston retained his South African Amateur title in March 2014 before securing the prestigious Lytham Trophy in May. He turned Pro in June and 18 earlier this month and will be hoping to make his mark in the Pro ranks in 2015. 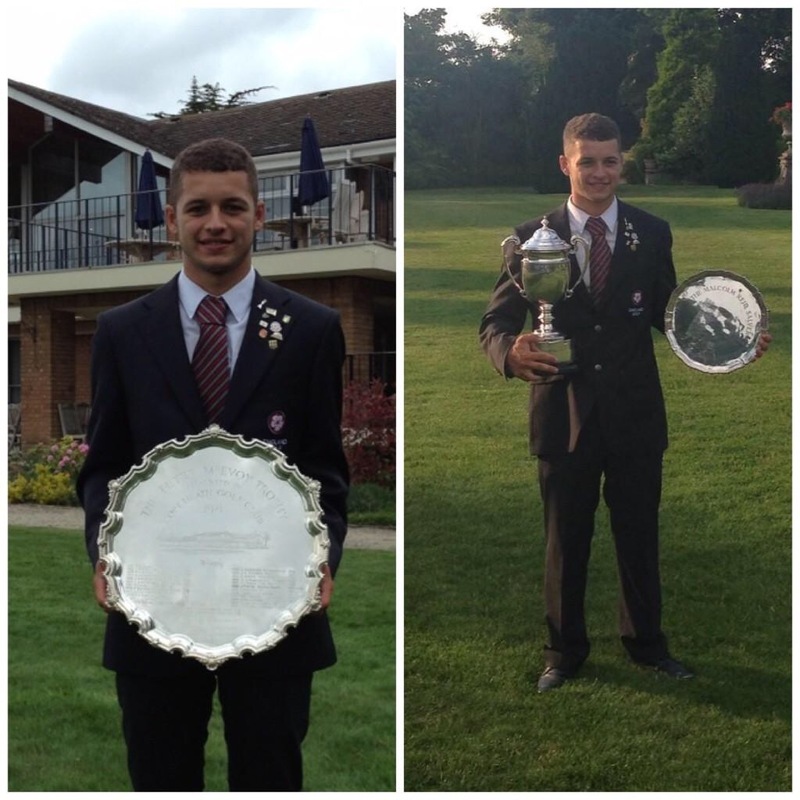 Delamere Forest’s Haydn McCullen won two of the U18 GB&I majors in 2014. Rounds of 66, 69, 70 and 74 (-5) were good enough to beat defending champion Bradley Moore at Copt Heath GC. Whilst at Moor Park GC rounds of 71, 75, 72 and 70 (L) ultimately led to a first hole play off victory again over Keddleston Park’s Moore. McCullen who turned 18 in August is expected to turn Pro later this year and join Fitzpatrick and Lawrence (see above) in the ISM stable. Moore, a year younger and now 17 will no doubt be looking forward to another winning year in Junior golf. 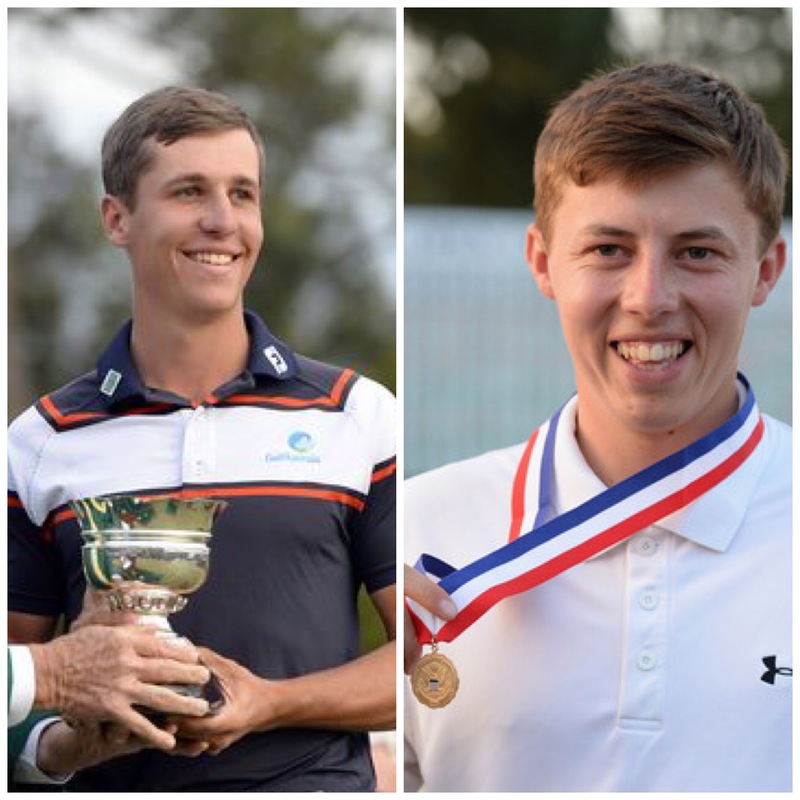 A superb final day’s single series – 8.5 out of 10 points being won – helped Europe to a 18.5-11.5 victory in the Palmer Cup at Walton Heath GC. Europe also retained the Sir Michael Bonallack Trophy in Bangalore, India beating the Asia-Pacific team 17.5-14.5. 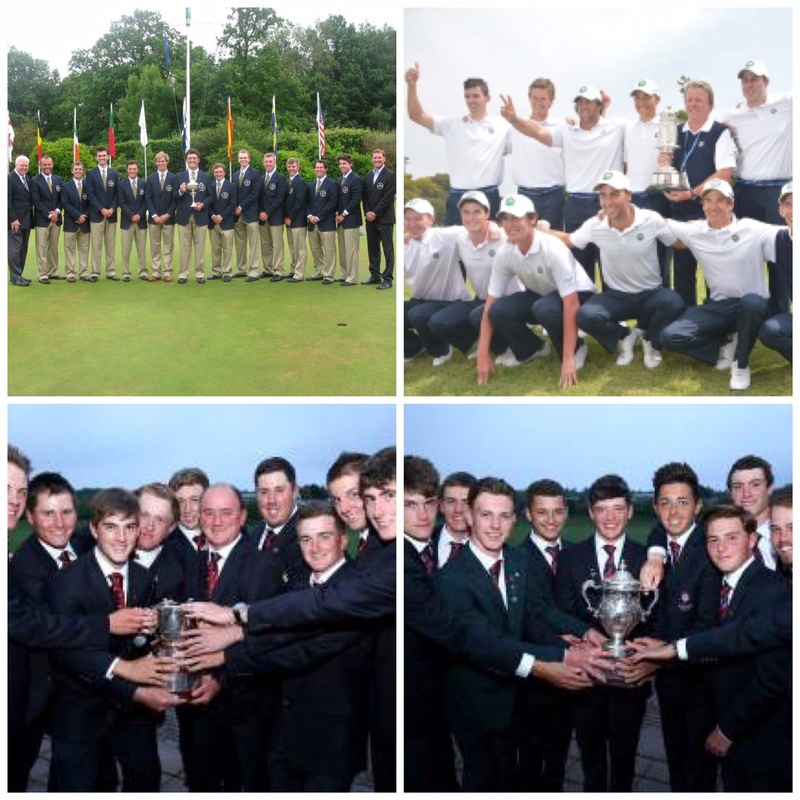 Later in the year GB&I then had a double win in Barsebäck, Sweden winning the Men’s St. Andrews Trophy (14-10) and the U18 Boys Jacques Leglise Trophy (12.5-11.5). Well done to all ! 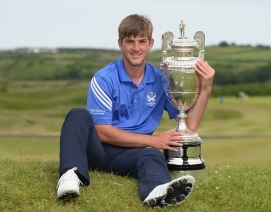 The 24 year old Hawkstone Park player won his second consecutive European Amateur at the Duke’s Course, thus qualifying for the 2015 St. Andrews Open. 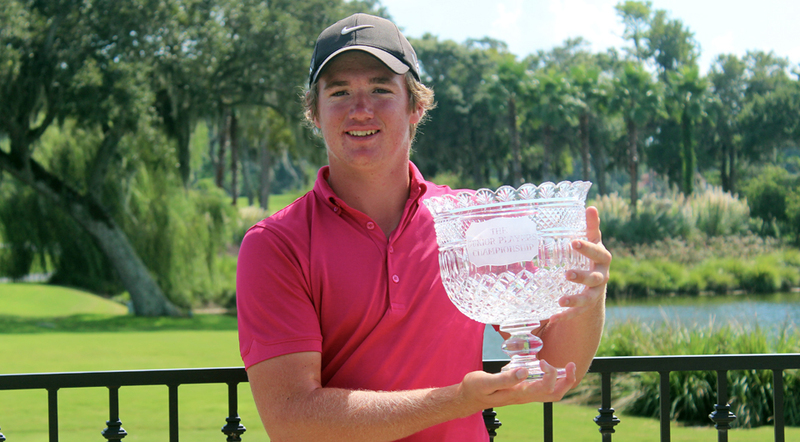 The Florida-based but Manchester born junior won the New Year’s Invitational and Junior Players events and showed outstanding consistency in his stroke play scoring. His name is increasingly preceded by the word ‘medalist’ and another good year in 2015 should culminate in Walker Cup selection before he heads off to college at the University of Florida. This entry was posted in Annual Reviews and tagged 2014, Amateur Golf - Other, Ashley Chesters, Bonallack Trophy, Bradley Neil, Gunn Yang, Haydn McCullen, Jacques Leglise Trophy, Jon Rahm, Palmer Cup, Renato Paratore, Sam Horsfield, St Andrews Trophy, Thriston Lawrence. Bookmark the permalink.